"Law enforcement has not and will not forget Timmothy, and we hope to one day reunite him with his family". In a case that spanned multiple states and involved the Federal Bureau of Investigation, a 14-year-old found wandering the streets of a Cincinnati, Ohio suburb told police he was Timmothy Pitzen and had escaped from his captors. A slab of concrete sits in the backyard of the house where Timmothy Pitzen used to live in Aurora, Illinois. One police official revealed to NBC News and News5Cleveland that the person has been identified as Brian Michael Rini, who told police that he had escaped from two kidnappers with bodybuilder-type builds. Newport Police Chief Tom Collins identified him to ABC as Brian Rini of Medina, Ohio, a 23-year-old ex-convict. Authorities say the boy claimed he had "just escaped from two kidnappers" who had been holding him captive for seven years. "Unfortunately, that day will not be today". He said his name is Timmothy Pitzen. But one person can be seen falling to the ground, and at least three people are seen running from the parking lot. Moore added that Holder and Hussle had been involved in a personal dispute, but did not offer further details. Police from Aurora, Illinois, where Timmothy had lived before he disappeared, quickly made attempts to verify the teen's claims - including requesting a DNA test, which has since proved that wrong. We just don't want to get our hopes up. According to a police dispatch report, he told police he was born October 18, 2004. He said he was kidnapped, looks like back in 2011 he was kidnapped. "He lived in IL that's what he told me and he just was passed around to people that he didn't know", she said. The boy was taken to a hospital, but no information was released. The other was short and had a snake tattoo on his arms. As authorities tried Thursday to confirm the teen's identity, Nick Baughman said he hopes the results provide the Pitzen family with "peace and closure and they would heal". "It's good that it's got people thinking about the case again". Their adventure started after Amy Fry-Pitzen checked her 6-year-old son out of an IL elementary school on May 11, 2011. For the next three days they were on what seemed like a little boy's dream road trip, visiting a water park resort and doing other fun things. 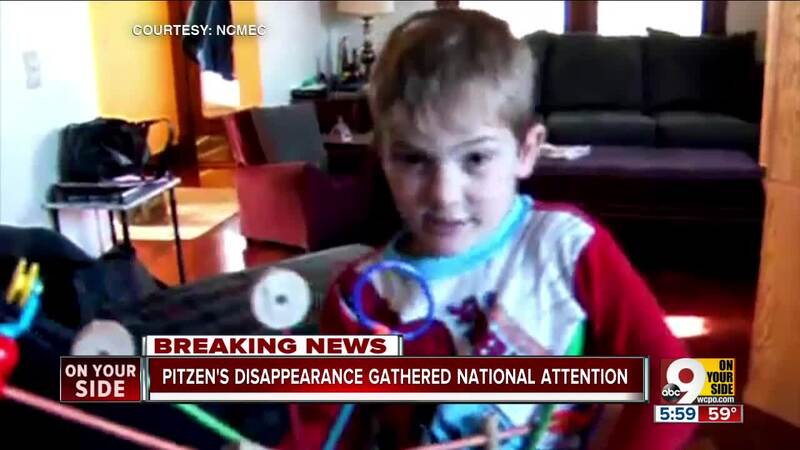 "The police department says if anyone has information on Pitzen, to call the National Center for Missing and Exploited Children at 1-800-THE-LOST (1-800-843-5678) or the police department at 630-256-5000". Police also found credit card receipts showing that she bought children's clothing and toys in Wisconsin. In 2011, then-6-year-old Timmothy Pitzen's mother picked him up at school in IL, took him to the zoo and a water park, and later killed herself at a hotel, leaving a note saying her son was fine but that no one would ever find him. Authorities said she killed herself and left a note saying Timmothy Pitzen was safe and being cared for by someone who loved him - but he would never be found. DNA results have been returned indicating the person in question is not Timmothy Pitzen.